The moment a driver, believed to have been impaired from heroin use, crashed into a state trooper was captured on video. 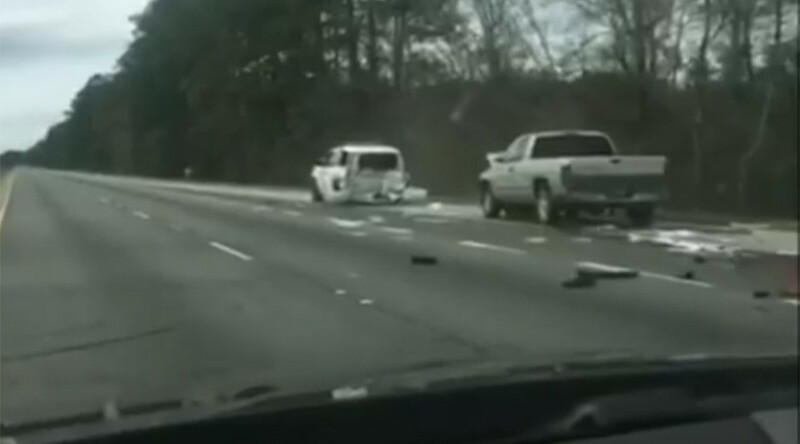 The incident in Louisiana shows an attempt from concerned drivers to shield the swaying vehicle from causing another accident. “He just rammed a police officer!” Kyle Nadler can be heard shouting in the video uploaded to the Facebook page of the Louisiana State Police. The crash came after Nadler and another driver attempted to position themselves on the highway to prevent the vehicle that was erratically moving across lanes from causing harm. Nadler can be heard in the video on the phone to police, advising them of the dangerous driver, who came to a stop after crashing into a parked state trooper vehicle that was positioned to pursue him. Both the driver and state trooper sustained minor injuries. The driver was arrested and charged with driving while intoxicated, with police stating the man was suspected of being "impaired on heroin at the time of the crash.” He was also charged with reckless driving and driving with a suspended license.